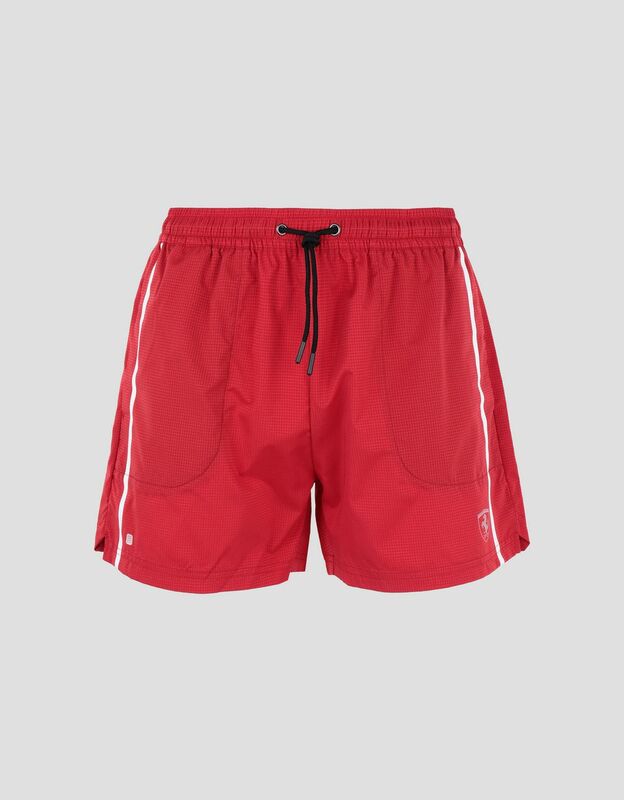 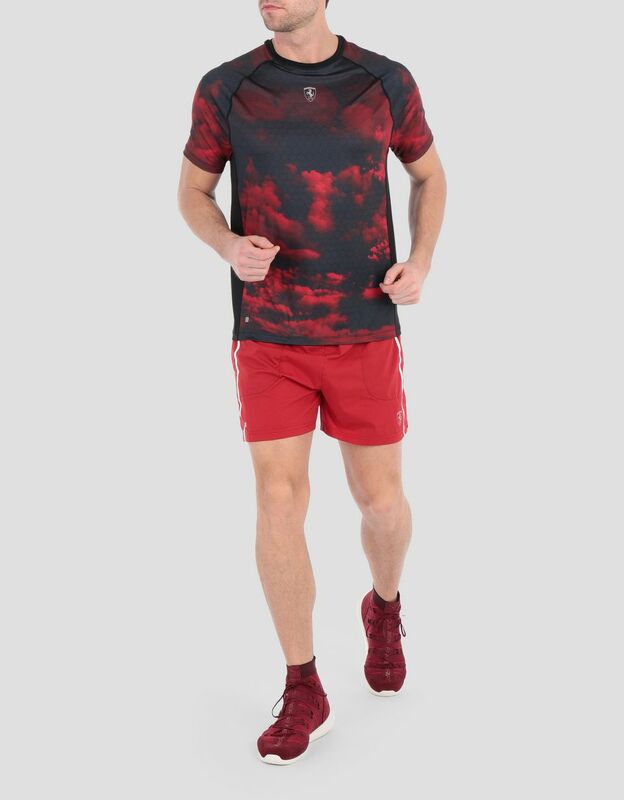 Sophisticated details enhance these high-performance men's running shorts in water resistantA water resistant garment is made from fabric that protects the body from low intensity sprays of water. 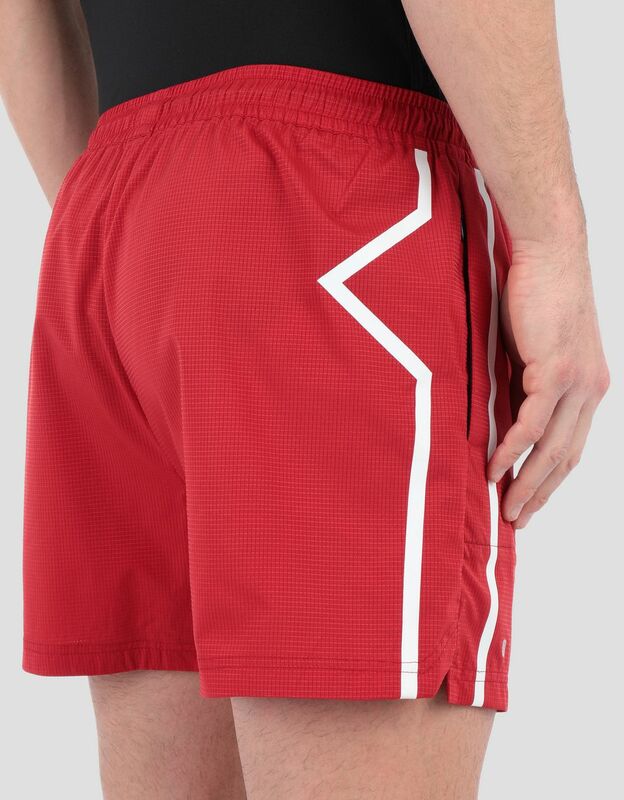 and wind-proof fabric. 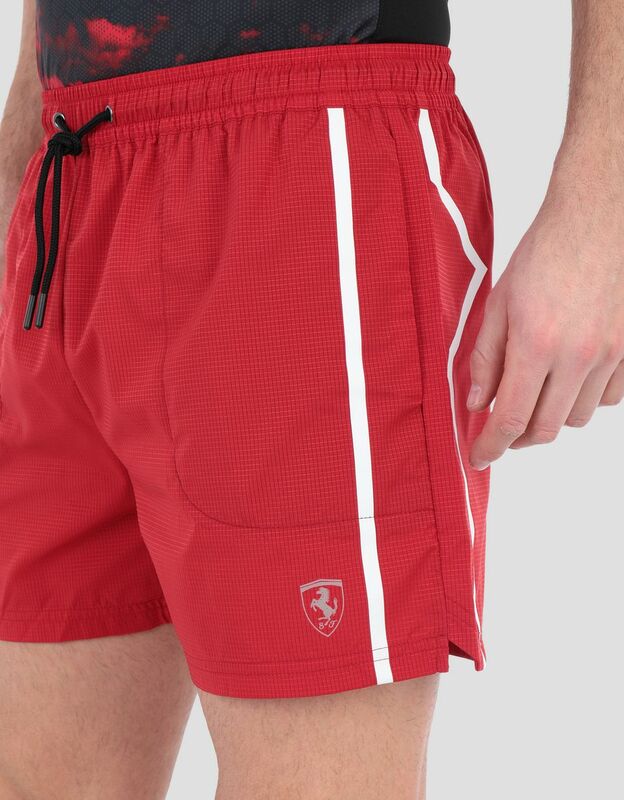 These Scuderia Ferrari men's shorts in sturdy rip-stop have a waxed finish that makes them water resistant, perfect for training in the rain. 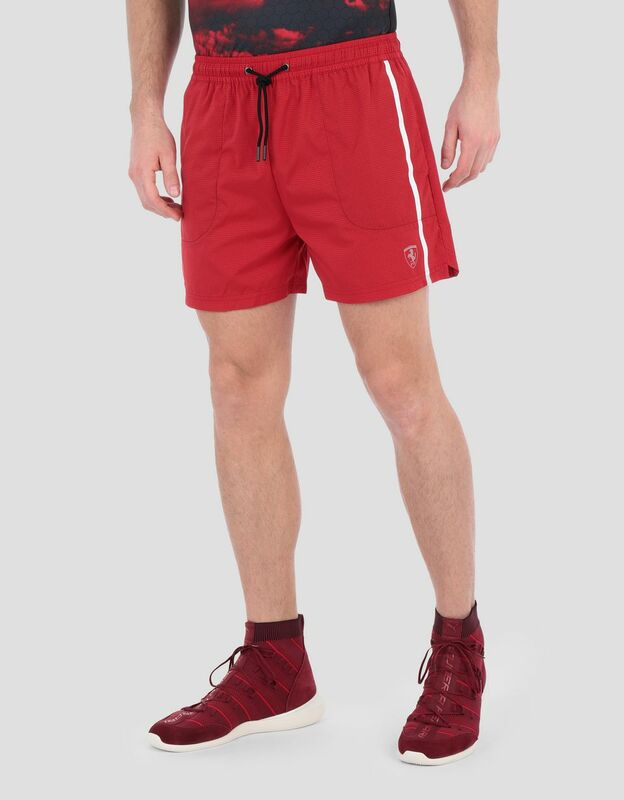 Enlivened by the ergonomic contrast taping on the front and back, the shorts have an elasticated waist with drawstring, two side pockets and a useful inside pocket. 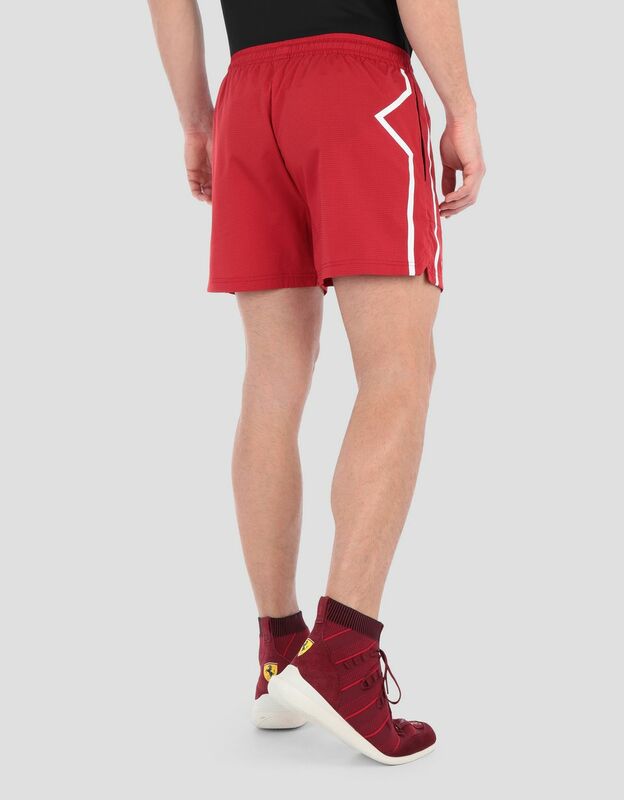 The running shorts are completed by the Ferrari Shield in reflective silver.